A rustic patio and garden design in Westchester, New York. 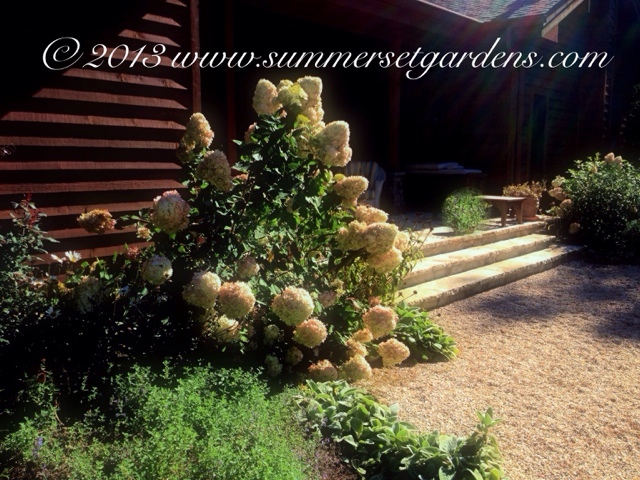 This lower gravel patio is framed with flowering shrubs and perennials. Weathered hand tooled natural stone steps lead up to the breakfast patio.